A special six-cent air mail rate was granted to members of the U.S. Armed Forces serving outside the continental United States, effective from December 25, 1941 through September 30, 1946. 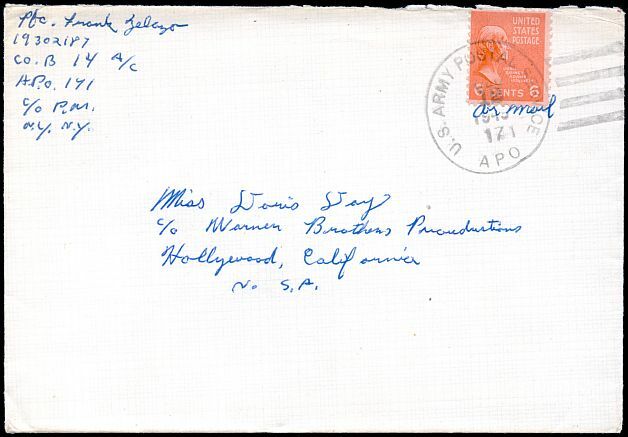 A cover sent to Doris Day from Germany through the APO system in December of 1945. The military air mail rate applied to mail sent to members of the Armed Forces as well. 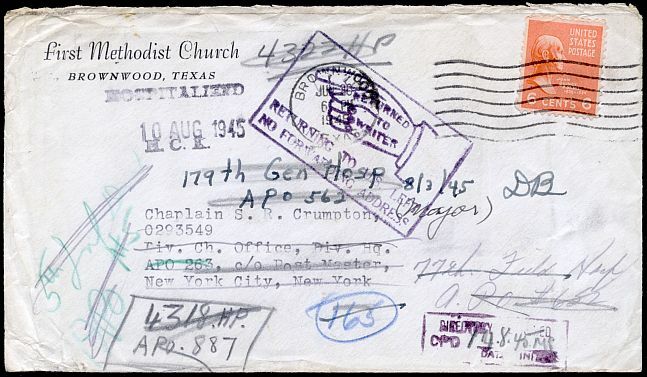 This cover was sent to a Chaplain in the 13th Armored Division in Germany in 1945. By the time it reached Germany he had been sent to the 179th General Hospital in Belgium (or perhaps the 77th Field Hospital in France? ), and when the letter reached there he had returned to the States. The six-cent military rate included air mail post cards, and the definition of serving outside the United States included duty in Hawaii. 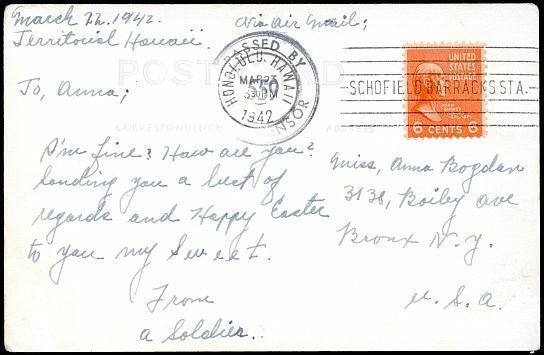 Interestingly enough, the soldier sending this one in 1942 was allowed to tell where he was stationed, and the location is spelled out in the cancel.